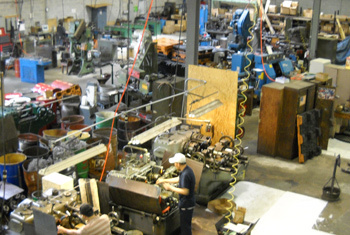 East Coast Metals is committed to helping all of our customers achieve success in the ever competitive world of fasteners. Below is a list of services that we offer. If what you need is not listed, give us a call. If there is any way possible that we can do it, we will. If your quote is TIME SENSITIVE, please let us know and we will do whatever we can to get your quote back to you as soon as possible. Do you have a TARGET PRICE that you need to hit in order to get an order from your customer? We will work with you to help you meet your costing needs. If your customer needs a quick delivery we can offer GUARANTEED SHIP DATES on every item that you order. We can ship your order using any carrier that services our area. UPS stops at our door twice each day. All orders are shipped FOB HARLEYSVILLE, PA. We never add a surcharge to freight costs regardless of the carrier. We offer DIRECT SHIPMENTS to your customer. All packages will show your company as the shipper. Your customers are yours to keep. There is no charge for this service.